For Kelly Fraser, singing in Inuktitut is an ear-catching way to bring her language and her culture to those who may have lost it. "I really believe that we need to modernize our culture as much as we can or it's going to die." The 23-year-old musician is based in Ottawa. 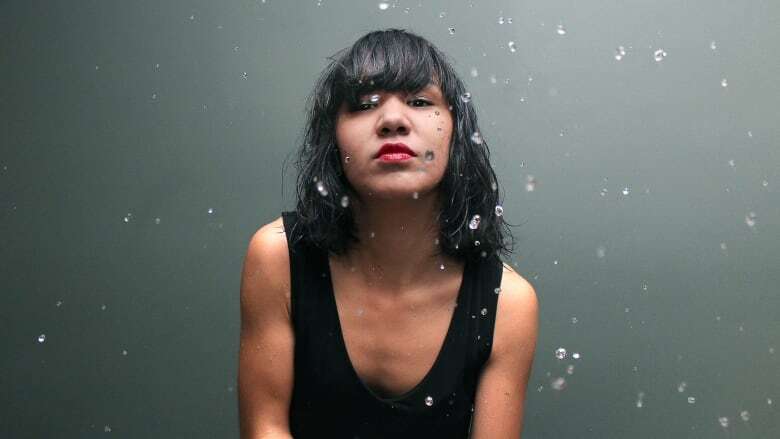 It was while she was in high school there that Kelly began covering popular English songs in Inuktitut. Her most popular is a version of Diamonds by Rihanna, which has been viewed over 200,000 times — that's approximately five and a half times the population of Nunavut. For Fraser, singing in Inuktitut is an ear-catching way to bring her language and her culture to those who may have lost it. But not everybody agrees that combining traditional language and stories with decidedly non-traditional pop songs is appropriate. "I've been told: 'What you're doing is not traditional, you shouldn't be using our clothes and singing our language in such a manner that it's not traditional.' And I'm like: 'I don't think any of us live very traditionally.' But I believe we have traditions and we can modernize it, because culture is always changing." On Fraser's second album — released last year — she decided to modernize and sing one particular story. On Sedna, she tells the tale of the Inuit goddess of the sea. Known as Sedna in English or ᓄᓕᐊᔪᒃ ("Nuliajuk") in Inuktitut, hers is a story that resonates deeply with Kelly as a young Inuk on a mission. "I get very emotional, sometimes I even cry because I feel this large burden on my shoulders as an artist doing it— and I'm really looking forward to more projects where I can be proactive in keeping our language very strong and alive." FULL EPISODE: What's making you sing right now?